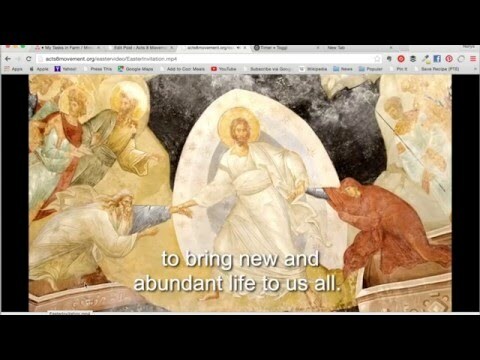 The Acts 8 Movement is once again offering videos Episcopal churches may use for free to advertise their Easter liturgies. You may download the video below to post to your own Facebook page, or just link to one of the YouTube videos found here, or to the Facebook videos posted on the Acts 8 Movement Facebook Video page. We encourage you to use this video as if it were your own in sharing the Good News. 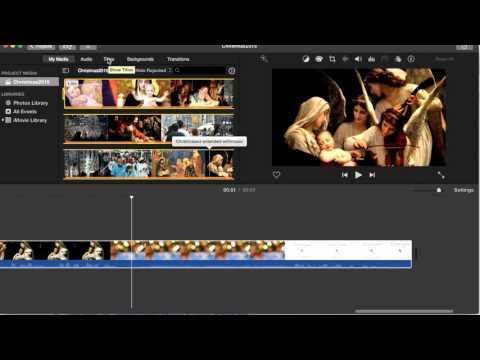 While those with video editing skill may customize the video, such as adding a photo from your congregation with some information during “The Episcopal Church Welcomes You”, we have discovered that lengthening the video to add service times or additional information leads to viewers tuning out en masse. 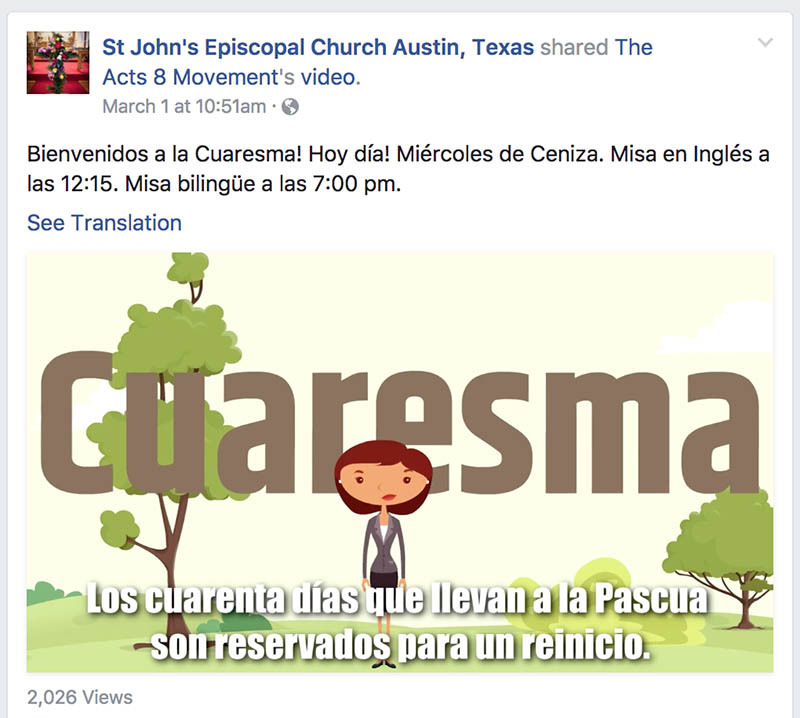 We recommend putting the real content of the ad in the Facebook post text rather than in the video itself as shown in the post of our Lenten video at right from St. John’s Episcopal Church in Austin, Texas. 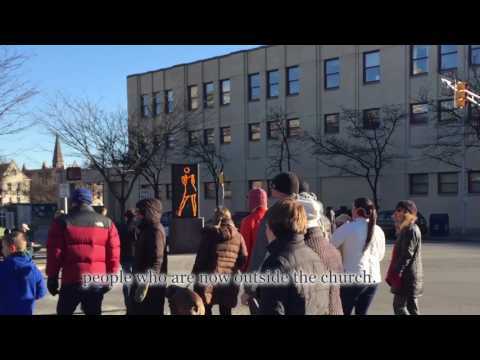 The Diocese of Central New York used an Acts 8 video to invite their neighbors to worship in the churches of the Diocese. You can read about their test and what they learned: How we invited 5,000 Central New Yorkers to Join Us for Christmas. In response to their idea to use a catchy graphic in a side by side test, we are offering a short, animated GIF file, which Facebook permits in its advertising. DO NOT upload the GIF file to Facebook as the image will default to a still frame. Instead, place the file online and point to that file when creating the Facebook ad. This option only works for those advertising on Facebook. The files you need are linked below each video. Simply Right Click the links to save the files, then upload to your congregation’s Facebook page as a video. Add a brief invite and service times and you are done. Or just embed or link the YouTube video above or any of these videos at our Acts8 YouTube Channel. 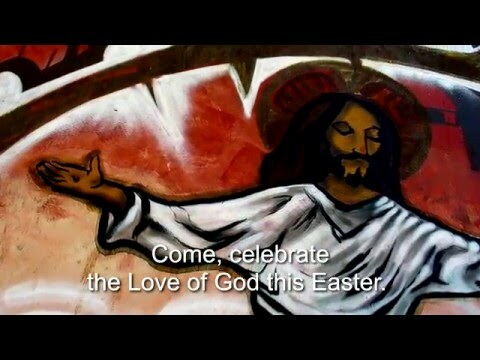 We encourage you to use this video as if it were your own in sharing the Good News this Easter. The following tutorial is provided to walk you through the process of downloading the video from this post, uploading it to Facebook, and creating a Facebook ad. Facebook automatically plays videos uploaded to the site which is why we recommend this option. If the downloading and uploading process is a challenge, feel free to simply post a link to the video on YouTube in your invitation. There is no charge for using this video, it is simply our gift to you. 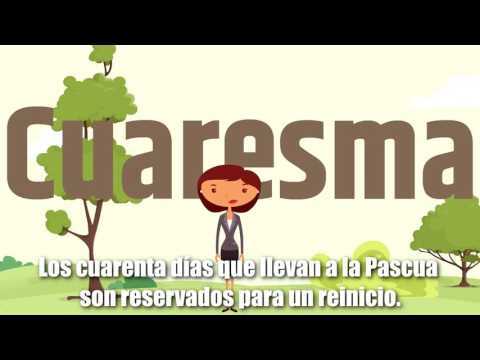 For the cartoon – Frank Logue created the animations using the website Animaker in keeping with their business license agreement so that there is no cost to any church. Earnest Graham drew the SuperHero Jesus character especially for this video. Adam Trambley wrote the script with his daughter, Julia, providing the English language voiceover. Sandra Montes recorded the Spanish language voiceover using her brother, Alex Montes-Vela’s Spanish language translation of the text. All of this is our gift to you. For the video with the Presiding Bishop – Thanks to David Simmons who wrote and recorded the original score for this video edited and produced by Frank Logue. We give thanks to Alex Montes-Vela and his sister Sandra Vela for once again translating and recording the Spanish language video. Ada Wong-Nagata once again came through with a Cantonese language video and worked with the Episcopal Asian Ministries Chinese Convocation to record this in many voices as well as to create a Mandarin language video. Aidan Koh worked with the Korean convocation to create a Korean language version. Fred Vergara translated a Tagalog text for Filipino congregations and Leonard Oakes and Ruth Paguio worked with others to record the audio. Leonard Oakes also added a second of the major Filipino languages working to translate and record the voiceover in the Ilocano language. John Deng pulled together a group to create the Dinka language version for South Sudanese congregations. Pierre-Henry and Sophia Buisson provided the translation and audio for the French language version. Your friends at the Acts 8 Movement have two Christmas videos Episcopal churches can use for free. 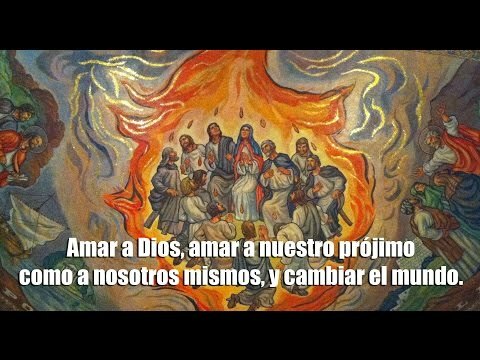 We created these multi-language videos (for the many of the languages in which Episcopalians worship) in the previous two years and offer them here anew for your use. Watch the video we launched in 2016 on YouTube in English here, Spanish here, Tagalog here, Cantonese here, Mandarin here, and Vietnamese here. download the videos for use on your congregation’s social media here. Right click on the link below with a PC or hold control and shift down while clicking on the link with a Mac and save to your computer. Then upload to your Facebook feed as your own video. The video we created in 2015 offers options for those with some basic video editing skills to edit to add in information on your congregation. Those files are online for you to use, and are linked below. Simply Right Click the links to save the files. We hope one or both of these videos can be a key component in a plan to invite your neighbors to church this season. To make the most of the opportunity, we encourage you to review the Hospitality Checklist offered by Invite-Welcome-Connect. 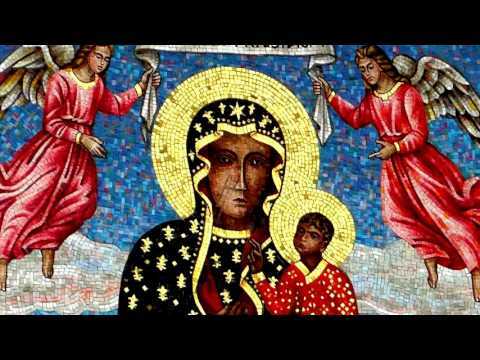 There is no charge for using this video, it is simply our gift to you in the busyness of the season. We created this video mostly from video clips purchased from videoblock.com with background audio purchased from audioblocks.com and this use is royalty free within those agreements. We selected art work in the public domain. The voices in this ad are persons from the Acts 8 Movement and permission is given hereby to use this video in promoting your congregation’s Christmas services. You may add your church name and service times without concern for copyright infringement or incurring any fees for this usage. Sandra Montes translated the video into Spanish and provided the voiceover together with her brother Alex Montes-Vela for that version of the video, with her goddaughter Jaidani Ortiz closing out the voiceover. Fred Vergara translated the script into Tagalog and recorded the voiceover. Tinh Huynh provided the Vietnamese translation and voice recording. Merry Chan Ong put together a team for the Cantonese video to translate and record the script. David Simmons created the original score and Frank Logue edited the video. This collaboration involved Episcopalians in eight states working together on these two 1-minute videos. We also offer the video on the Acts 8 Movement Facebook page so you can simply share that video to your Facebook group. You may add your church name and service times, over The Episcopal Church Welcomes You, without concern for copyright infringement or incurring any fees for this usage. Frank Logue created the video using art in the public domain and video from video blocks.com in keeping with their licensing agreement so that there is no cost to any church. Adam Trambley wrote the original script which was lightly edited by the Acts 8 team and the Rev. Alex Montes-Vela created the Spanish language translation and recorded the voiceover. All of this is our gift to you. With Lent fast approaching, your friends at the Acts 8 Movement are offering two ways to promote this season of preparation. The video above can be used as is or those with the ability to edit the video may download a version with a longer ending suitable for adding your congregation’s name or logo and listing your website address. Use this video to advertise any special Lenten programs. 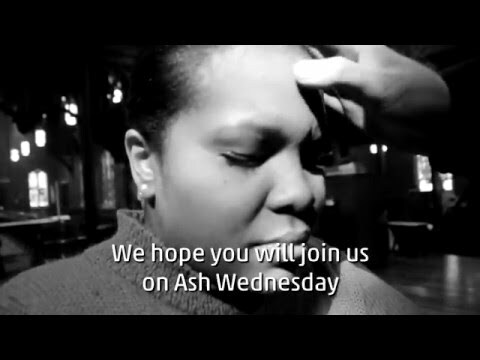 We also still offer last year’s Ash Wednesday video for those who want a means to advertise that liturgy. We will also have the files at the Acts 8 Movement Facebook Page and you can simply share the video to your Facebook Group. You may add your church name and service times without concern for copyright infringement or incurring any fees for this usage. 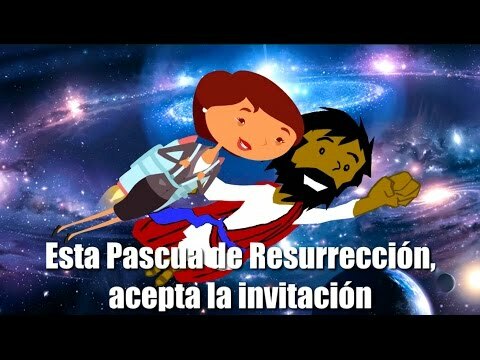 Frank Logue created the animations using the website Animaker in keeping with their licensing agreements so that there is no cost to any church. Acts 8 created the script in English and Dr. Sandra Montes and the Rev. Alex Montes-Vela created the Spanish language version with Alex recording the voiceover. All of this is our gift to you. ¿Estás Listo para un reinicio? Your friends at the Acts 8 Movement want to offer resources to assist your congregation in inviting your neighbors to join you for worship. This year, we are offering a Lenten video to encourage a Lenten Reboot. We are also offering the Episcopal Church the customizable video for congregations to promote their Ash Wednesday liturgies first created for 2016. You may post it as is, or you can download a high resolution video and with some basic video editing skills create a customized video for your congregation. We also offer an Easter video to customize for free and we hope your posting the Ash Wednesday ad now will raise awareness in advance of the Easter video. The files you need to create your own video are linked below each video. Simply Right Click the links to save the files. Want to customize this video and use it to create a Facebook ad? 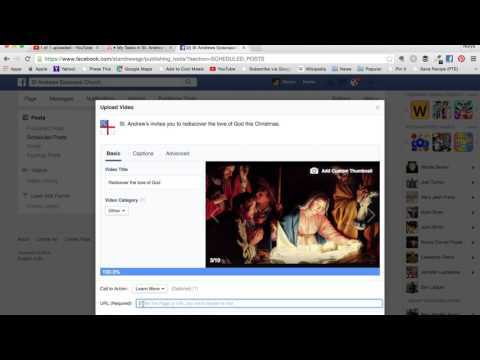 Let Nurya Love Parish show you how: Create your Facebook ad for Ash Wednesday. On her blog, she provides a tutorial for customizing the video using a Mac and a separate tutorial on placing a Facebook ad. She is also planning to survey churches who use the video on Facebook so we can learn more together. You may add your church name and service times without concern for copyright infringement or incurring any fees for this usage. We created this video almost exclusively from original video recorded for this project. Every person shown signed a video release and we have made every effort to allow the people filmed to also see the video in advance of its going live. A purchased clip of the Jordan River is from videoblocks.com with background audio purchased from audioblocks.com and both are used royalty free within those agreements. We filmed the sunrise at Honey Creek Retreat Center in Waverly, Georgia. Adam Trambley wrote the script. The voices in this ad are Brendan O’Sullivan-Hale and Holli Powell in the English language version and the Rev. Alex Montes-Vela and his sister Sandra Montes in the Spanish language version. Frank Logue shot and edited the video. Everyone participating donated their time and work product to the project. We give thanks to the congregations of St. Matthew’s and St. Paul the Apostle churches in Savannah, Georgia, and Canterbury Conference Center in Orviedo, Florida, where the video of imposing ashes were filmed. We apologize to those among the 19 persons filmed for the ad who were not in the final cut. You looked great, but some technical problems and the need to edit resulted in difficult choices. 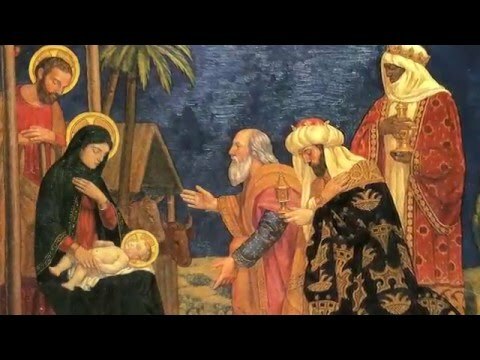 Your FREE parish Christmas invitation video is ready! “Episcopalians are on Facebook,”Presiding Bishop Michael Curry told participants at Evangelism Matters. ‘I’ve seen your dogs. I’ve seen your cats.” He went on to describe social media as a superhighway for sharing the Gospel. Your friends have seen your pets. This Christmas, let them see Jesus. watch it on YouTube in English here, Spanish here, Tagalog here, Cantonese here, Mandarin here, and Vietnamese here. We hope this video can be a key component in a plan to invite your neighbors to church this season. To make the most of the opportunity, we encourage you to review the Hospitality Checklist offered by Invite-Welcome-Connect. We encourage you to use this video as if it were your own in sharing the Good News. While those with video editing skill may customize the video, such as adding a photo from your congregation with some information during “The Episcopal Church Welcomes You”, we have discovered that lengthening the video to add service times or additional information leads to viewers tuning out en masse. We recommend putting the real content of the ad in the Facebook post text rather than in the video itself. You may also still download and use Acts 8’s 2015 Christmas Video in addition to or instead of the one created for this year. Keep checking in at acts8movement.org as over the next few days, we will be launching other language translations of the video, and more content. In the meantime, to find out more of what we have discovered along the way, please read Nurya Love Parish’s helpful post 7 Lessons from the Video Experiment. The script was worked on by a small group. English voiceover provided by Miranda Hassett, Griffin Hasset, Iona Hassett, Alex Montes-Vela, Sandra Montes, Adam Trambley, Julia Trambley, Frank Logue, Brendan O’Sullivan-Hale, Susan Brown Snook, and Eliza Pankey. Sandra Montes translated the video into Spanish and provided the voiceover together with her brother Alex Montes-Vela for that version of the video, with her goddaughter Jaidani Ortiz closing out the voiceover. Fred Vergara translated the script into Tagalog and recorded the voiceover. Tinh Huynh provided the Vietnamese translation and voice recording. Merry Chan Ong put together a team for the Cantonese video to translate and record the script. David Simmons created the original score and Frank Logue edited the video. 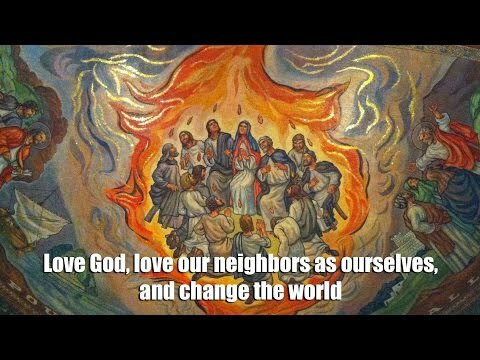 This collaboration involved Episcopalians in Michigan, Pennsylvania, Florida, Texas, California, Wisconsin, and Georgia, working together on this 1-minute video. You may use this video without concern for copyright infringement or incurring any fees for this usage. We created this video using original video filmed by Frank Logue and Alex Montes-Vela together with clips purchased from videoblocks.com and are using them within that licensing agreement. Everyone participating donated their time and work product to the project, and the parents of the children whose voices are in the video approve of their taking part in the project. Your friends at the Acts 8 Movement are glad to offer the Episcopal Church a video for congregations to promote their church as kids start heading back to school. The video above is our gift to you. You may post it as is, or you can download a high resolution video to upload to your congregation’s Facebook page. We hope this video can be a key component in a plan to invite your neighbors to church this fall. To make the most of the opportunity, we encourage you to review the Hospitality Checklist offered by Invite-Welcome-Connect. Nurya Love Parish provided the initial script. Holli Powell recorded the English language audio. 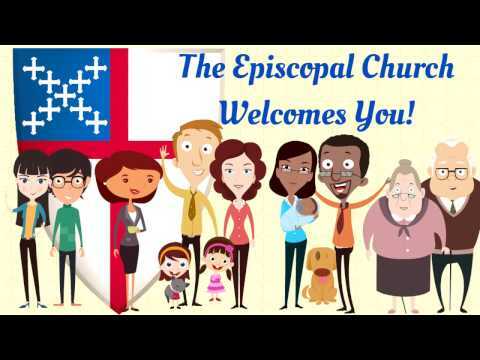 Eliza Pankey provided The Episcopal Church Welcomes You. Sandra Montes translated the video into Spanish and provided the voiceover for that version of the video, with her goddaughter Jaidani Ortiz closing out the voiceover. David Simmons created the original score and Frank Logue edited the video. This means the collaboration involved Episcopalians in Michigan, Kentucky, Florida, Texas, California, Wisconsin, and Georgia, working together on the two versions of this 1-minute video. Those with video editing skill may customize the video. You could add your church name, the URL of the church website, or the logo to the video itself. You may even add a photo from your congregation with some information during “The Episcopal Church Welcomes You.” But we have discovered that lengthening the video to add service times or additional information leads to viewers tuning out en masse. We recommend putting the real content of the ad in the Facebook post text rather than in the video itself. The files you need are linked below. Simply Right Click the links to save the files, then upload to your congregation’s Facebook page as a video. Add a brief invite and service times and you are done. Or just embed or link the YouTube video above or any of these videos at our Acts8 YouTube Channel. We encourage you to use this video as if it were your own in sharing the Good News. The following tutorial is provided to walk you through the process of downloading the video from this post, uploading it to Facebook, and creating a Facebook ad. 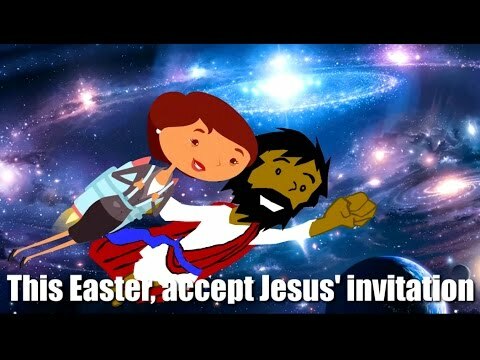 Although it uses the Easter video, the process is the same. To find out more of what we have discovered along the way, please read Nurya Love Parish’s helpful post 7 Lessons from the Video Experiment. You may use this video without concern for copyright infringement or incurring any fees for this usage. We created this video using original video recorded for this project together with clips purchased from videoblock.com and are using them within that licensing agreement. Everyone participating donated their time and work product to the project, and the parents of the two children whose voices are in the video approve of their taking part in the project. Thanks to the Rev. 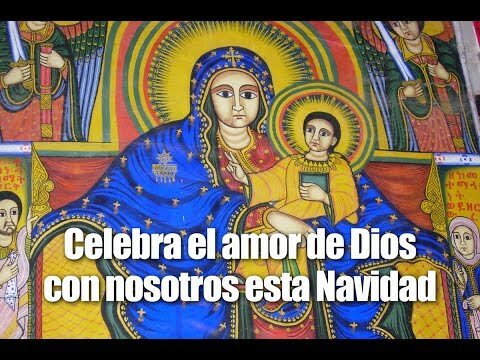 Alex Montes-Vela and the congregation of St. Mary Magdalene in Manor, Texas, we can now offer a Spanish language Christmas ad which congregations may use at no charge. We offer an .mp4 and a .wmv file so any congregation can download the full video and add their service times to use in promoting their worship this Christmas. Those files are online for you to use, and are linked below. Simply Right Click the links to save the files. 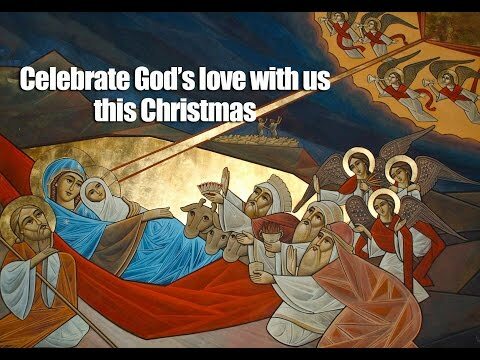 Your friends at the Acts 8 Movement are glad to offer the Episcopal Church a customizable video for congregations to promote their Christmas Eve and Christmas Day worship. The video above is our gift to you. You may post it as is, or with some basic video editing skills, you can download a high resolution video for your use. Those files are online for you to use, and are linked below. Simply Right Click the links to save the files. We created this video mostly from video clips purchased from videoblock.com with background audio purchased from audioblocks.com and this use is royalty free within those agreements. We selected art work in the public domain. The video of Episcopalians singing is from the Diocese of Georgia’s float in the MLK Parade in Savannah. Persons on the float were notified they were filmed for video use. The father and son prominent in the video are an Episcopal priest and his son and they have seen and approve of this usage. The voices in this ad are persons from the Acts 8 Movement and permission is given hereby to use this video in promoting your congregation’s Christmas services. You may add your church name and service times without concern for copyright infringement or incurring any fees for this usage.